Shown here on Humboldt Peak in Colorado, Cindy is clearly in her happy place in the mountains. 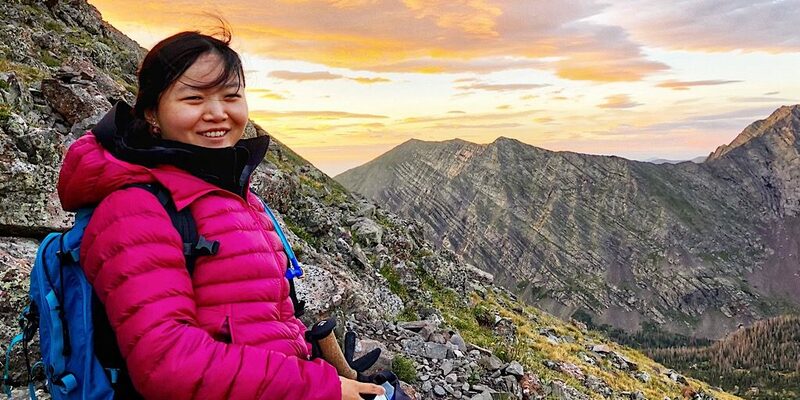 New to our team of guides here at Redline Guiding is Cindy Zhou (pronounced schōh). 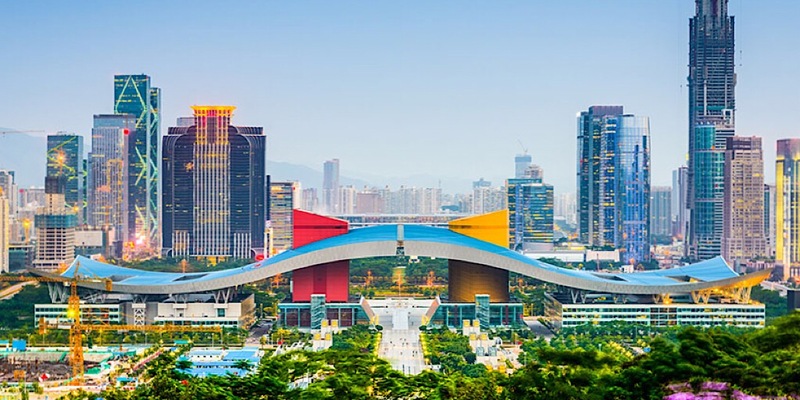 Cindy comes to us from the city of Shenzhen in the southeastern part of China (see images below). 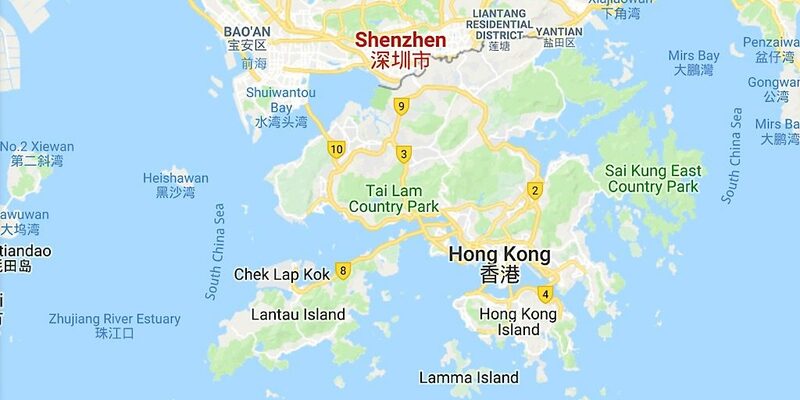 It’s a busy, modern metropolis that links Hong Kong to China’s mainland. Similar to North Conway, it is known for its shopping destinations, but of course lacks our great mountains. If you’re thinking that’s a long way to commute, you’re right. Cindy, however, currently resides in Boston, Massachusetts, and will be working with us mostly on weekends as she continues to grow and develop in the field. Location map. Click for a larger view. Shopping district/mall. Click for a larger view. Cindy finishing her NH 4000-footers on the Carter Range. Well done! 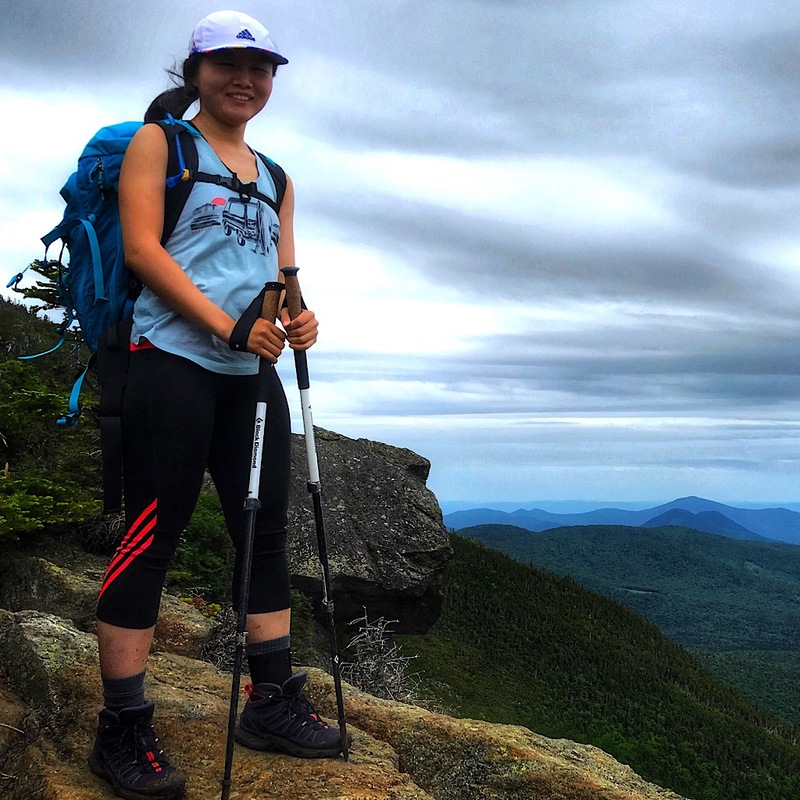 After finishing graduate school in Boston two years ago, Cindy started hiking and became involved in other outdoor activities as well. This opened up a new world to her. Since then she has been passionate about being outside, training by volunteering as a hike leader for a Boston-based group, through which met us and got started. 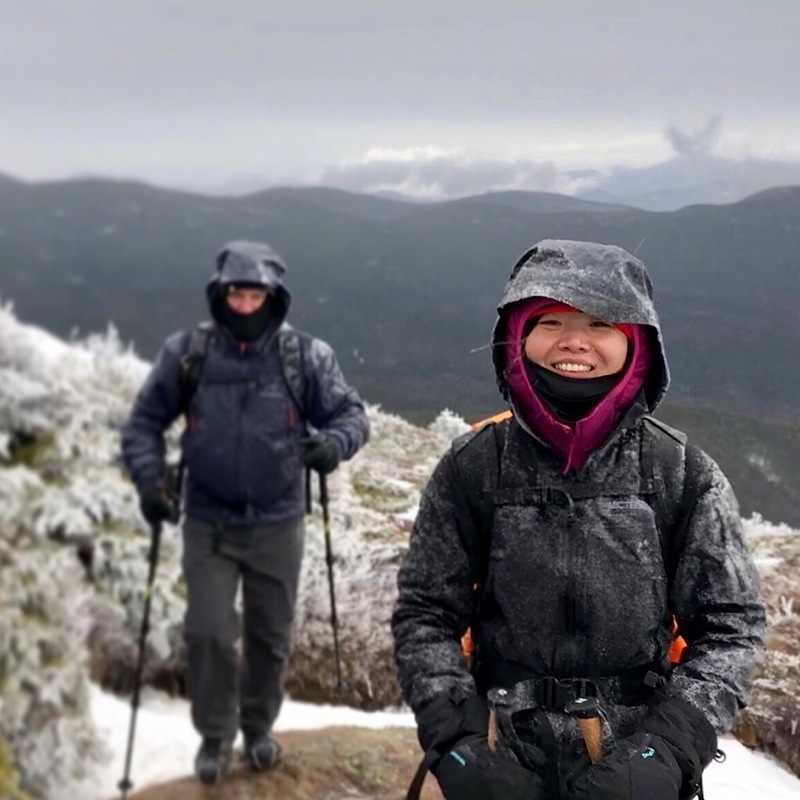 After learning about the 4000 footer list in New Hampshire, she decided to finish all of them and found herself falling in love with winter hiking, too. Cindy has also built a community for herself through group hikes along the way. She enjoyed every hike with hikers from all around the world. In June, 2018, Cindy finished 48 4000 footers and now she’s taking on more adventurous trips. Besides hiking she also enjoys climbing and snowboarding, although she is just beginning these hobbies, as well. Cindy shown here leading in the Presidentials… in the winter! For present experience, Cindy has hiked the Inca Trail in Peru in 2016, completed hiking the 48 4000-footers in New Hampshire, and summited Humboldt Peak, Colorado, the latter two both in 2018. She also earned her Wilderness First Aid (WFA) certification through one of our SOLO classes. She still has lots to do, starting soon with her CPR/AED certification and getting some in-house LNT training from us. Cindy comes to us with fresh eyes and enthusiasm and we think she will make a fine member of the team here at Redline Guiding. From all of us, Cindy, welcome! We do hope you stay a while.